The prolonged factional crisis rocking the Osun State chapter of the Peoples Democratic Party (PDP) took another dimension on Tuesday as a group within the Hon. Soji Adagunodo faction under the auspices of “PDP Grassroot Leaders” dissociated itself from a protest letter by some leaders of the faction to the PDP National Secretariat kicking against the harmonization of local governments ward executives of the party in Osun state. 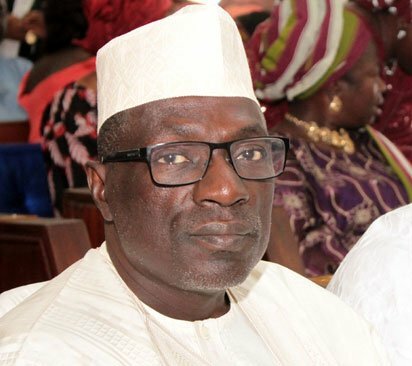 In the letter signed by 30 chieftains of PDP Grassroot leaders who are members of the Adagunodo faction addressed to Senator Ahmed Makarfi, a copy of which was made available to DAILY POST, the group while expressing its total support for the harmonization as earlier agreed to at a meeting held in Abuja asked the PDP National Secretariat to disregard the communique purportedly forwarded to it and signed by 22 leaders and members from the Adagunodo faction of PDP in the state. The letter was jointly signed by Hon. Yinka Adeoye, Hon. Adetokunbo Adebayo, Mr. Kunle Olagunju, Mr Taofik Winjobi, Dr B.T Salam, Hon.Kazeem Akinleye. Mr.Yemi Olusola Ademola, Hon.Fatai Shittu, Hon.Sarafa Awotunde. Hon.Lekan Olowookere. Others include Hon. Sikiru Yusuf, Hon. Michael Odeyale, Mr. Damola Abdulsalam, Hon. Seun Ogunyemi, Prince Usman Kayode, Mr. Nureni Awotunde, Mr. Kunle Badmus, Mr.Segun Alao, Mr.Tayese Olusanya, Alhaja Hammed Sakirat, Mr. Ifeolu Olaoluwa, Mr.Sijuwade Adegboyega, Mr. Adegboyega Adegboye,Mr.Rasaq Ojewale, Mr. Oloyede Oluwaseun, Hon.Tunde Badmus, Mrs. Tolulope Omoyeni, Mr.Jide Usman, Hon. Adegbite Muftau and Mrs. Busayo Oyedele. According to the PDP Grassroot leaders, there was nothing wrong with “the template for local government areas harmonisation discussed by the two groups of ADAGUNODO/ FAFORIJI on Tuesday 21st November, 2017 at the PDP National Headquarter, Wadata Plaza, Abuja Chaired by Senator Abdul Ningi – The National Organising Secretary of PDP in company of Prince DAYO Adeyeye – National Publicity Secretary,Hajiya Adodo – National Women Leader, Alhaji Sarafa Ishola – Osun State PDP Caretaker Committee Chairman as well as Hon.Demola Ojo – Osun State PDP Caretaker Committee Secretary.Senator Ademola Adeleke and Hon.Wole Oke in attendant. “We the grassroot leaders of our great party, PDP in Osun State,met and deliberate extensively and resolve as follows. (1) That we dissociate ourselves from the position of the leaders of the Adagunodo group after due consultation with members on the kangaroo meeting called by Adagunodo to brief on the outcome of the harmonisation template, we were left with no option than to dissociate ourselves and call for adequate representation as enshrined in the harmonization template duly SIGNED and AGREED by both sides.” the group said. “The national body should as a matter of urgency send necessary documents to fill the agreed harmonised template. Failure on the part of the group leaders to submit names as agreed,we will be available to submit names of our members to any of the vacant post to fulfill the agreed harmonisation template. “We also use this opportunity to appreciate the steadfastness and display of high level of integrity and responsibility of Sen.Ademola Adeleke on the harmonisation template. We thank you for your unwavering regards at all times”.